It's hard to beat classic Mexican staples like chunky guacamole and gooey quesadillas. But crispy, smoky bacon can be a game-changing addition. 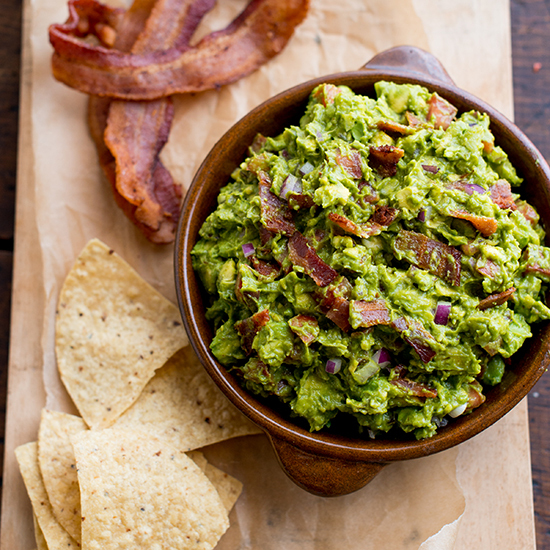 From tacos to enchiladas, here are five delicious Mexican recipes to make with bacon. 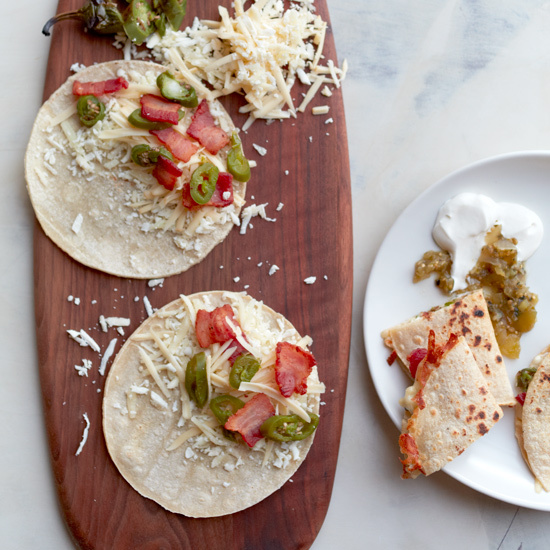 These smoky, gooey tacos feature three types of cheese. How do you upgrade the beloved dip? With crispy, salty bacon. 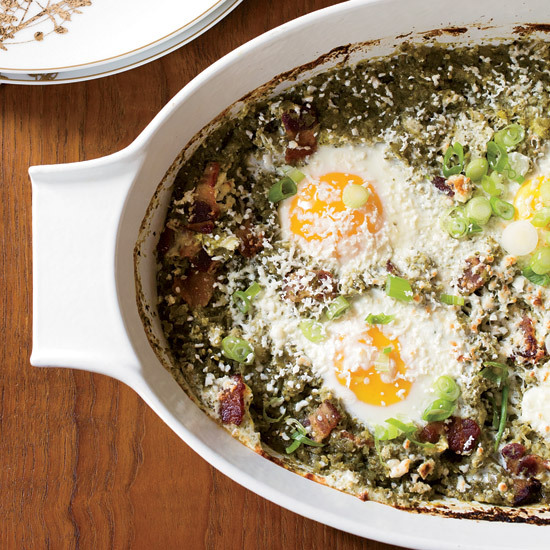 This Mexican-inspired take on the classic Italian baked breakfast features chunky bacon and a vibrant green sauce made with tomatillos, cilantro and scallions. 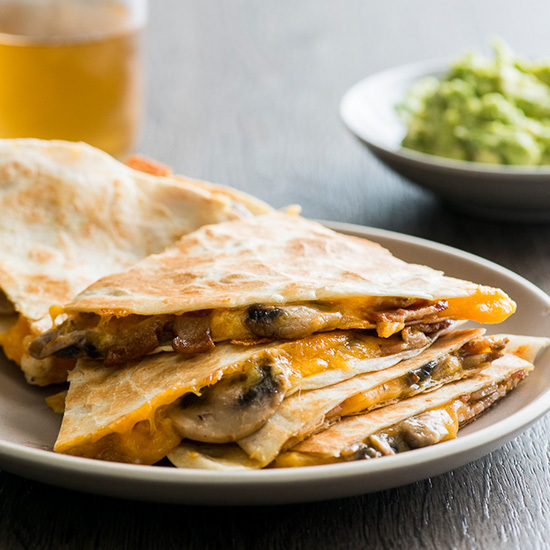 Warm sautéed mushrooms and crisp bacon star in these easy-to-make quesadillas. Enchiladas aren't just for dinner! Try this morning twist.